Auditions for 12 Dancing Princesses!! Escalate is so excited to be collaborating with Stages Theatre again this year! We are incredibly fortunate to be able to work with such a wonderful theater company. 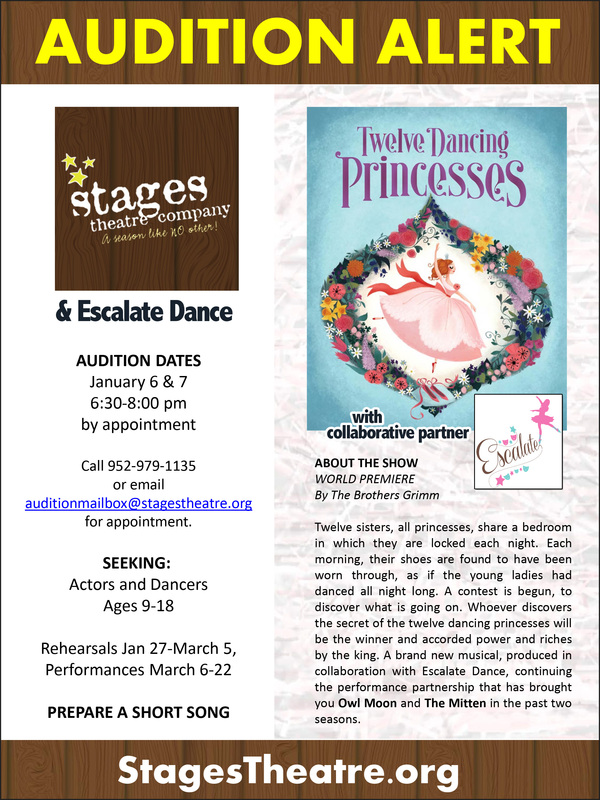 I am encouraging everyone at Escalate(ages 9-18) to audition for 12 Dancing Princesses!! This will be the World Premiere and it is written by the very talented local playwright Jennifer Kirkeby and the music is written by the equally talented local composer Shirley Mier! Click here for information about auditions.